What if aviation history had to be rewritten? 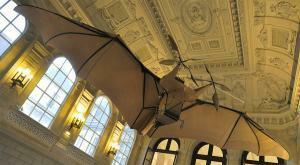 Has Clément Ader had a lot of clout in aviation history? This is one of the questions and issues a brand new project will examine and try to answer. « Clément Ader – le film » (Clément Ader – the movie) project was born a few months ago thanks to a French team led by Sylvain Thomas – an aviation geek, with extensive experience in light aircraft videos, and as a former chief editor of an aviation magazine – and Thomas Leroux who has extensive experience as a TV channel director. It all started by the idea of re-writing aviation history as far as Ader is concerned for the French engineer may not have revealed the whole of his activity. Some Satory archives were released in 1990 only. 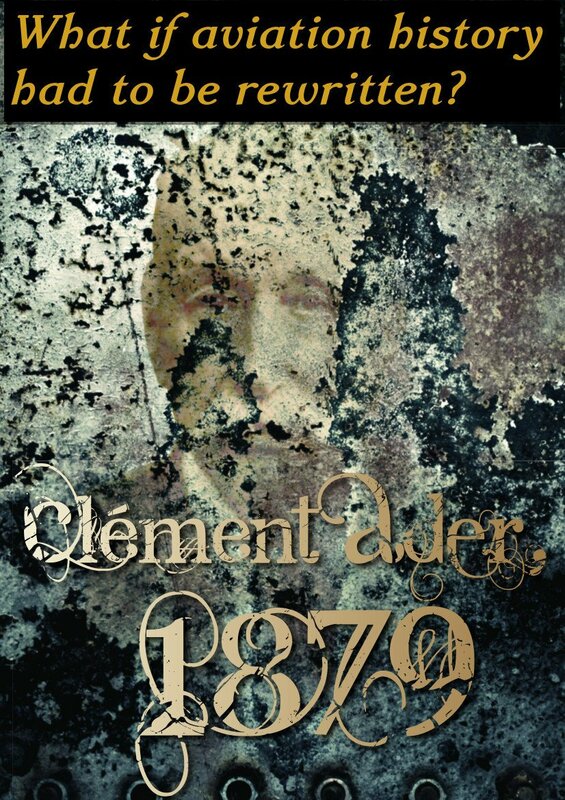 Besides, it has been clearly established that Clément Ader used to be bound by military secrecy, and it is believed that the inventor may have well hidden some of his projects. Besides, he happened to undervalue his performance. Was it any confession? Or odd attitude? 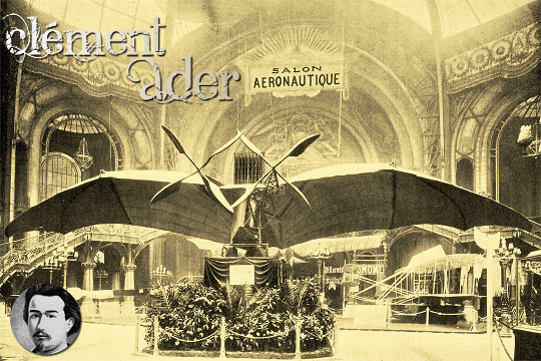 Anyway, the plot lies in the first part of the film and consists of a fiction that reports earlier Ader’s flights that could have happened in the 1870s whereas the second part is a documentary developped by several aviation experts and historians. We cannot tell you more, of course. The directors placed their idea on Ulule – a crowdfunding website, and they gathered enough money for starting up. They have received considerable support from José Garcia, the French movie star – and pilot – and the actress and singer Véronique Jeannot who used to sponsor the Patrouille de France, and brought out the album « Aviateur » in 1988. The guest stars have sponsored « Rêves de gosse« , an association helping impaired children. More than a hundred other avgeeks gave their support in the crowdfunding, and the film is now on the making. Xavier Cotton (http://passiondesavions.blogspot.fr/) is one of them, and he has already helped Prepa PLS Anglais a lot with his photos, and given his expertise in the field of aeronautics. The team has already released a few quite interesting videos which deal with aeronautical issues in the broadest sense on their their Youtube channel in a French-speaking series called « Avianoob ». It is worth a visit, and may represent learning resource for BIA(Brevet d’Initiation Aéronautique) as well as CAEA (Certificat d’Aptitude à l’Enseignement Aéronautique) candidates. Last, not the least, Sylvain and Thomas, to their credit, made the decision of donating part of the profits from DVD sales to « Rêves de gosse« . Peut-on dire que Clément Ader a beaucoup marqué l’histoire de l’aviation de son influence? C’est une des questions qu’un projet flambant neuf tentera d’élucider. Le projet « Clément Ader – le film » a vu le jour il y a quelques mois grâce à une équipe menée par Sylvain Thomas (fan d’aviation avec une grande expérience sur le tournage de vidéos d’avions légers, il fût rédacteur-en-chef d’un magazine sur l’aviation) et Thomas Leroux qui a une grande expérience comme réalisateur d’une chaîne télévisée. Tout a commencé avec l’idée de réécrire l’histoire de l’aviation en ce qui concerne Ader car il se peut que l’ingénieur français n’ait pas tout dévoilé de son activité. Des archives de Satory ne furent rendues publiques qu’en 1990. D’autre part, il a clairement été établi que jadis, Clément Ader était tenu au secret militaire et on croit qu’il se peut que certains projets de l’inventeur aient bien été cachés. Par ailleurs, il est arrivé qu’il minimise ses performances. Etait-ce un aveu? Ou une étrange attitude? Bref, l’histoire, dans la première partie du film consiste en une fiction selon laquelle des précédents vols d’Ader auraient pu avoir lieu dans les années 1870 tandis que la seconde partie est un documentaire développé par des experts de l’aviation et des historiens. Bien entendu, nous ne pouvons pas vous en dire plus. Les réalisateurs on mis leur idée en ligne sur Ulule (un site de crowdfuning) et ils ont rassemblé suffisamment de fonds pour démarrer leur projet. Ils ont bénéficié d’un appui considérable de José Garcia, la star du cinéma et pilote d’aviation et de l’actrice chanteuse Véronique Jeannot qui avait été une marraine de la Patrouille de France et avait sorti l’album « Aviateur » en 1988. Les deux vedettes du petit et du grand écran ont parainné « Rêves de gosse« , une association qui aide les enfants en difficulté ou en situation de handicap. Une grosse centaine de pasionnés d’aviation ont apporté leur soutien lors du crowdfunding et la réalisation du film est en cours. L’un d’entre eux est Xavier Cotton (http://passiondesavions.blogspot.fr/) qui a déjà beaucoup aidé Prépa PLS Anglais avec ses photos et grâce à son expertise dans le domaine de l’aéronautique. L’équipe a déjà réalisé quelques vidéos ô combien intéressantes qui traitent de questions sur l’aéronautique au sens très large sur leur chaîne Youtube dans une rubrique intitulée « Avianoob ». Elle vaut le détour et peut représenter une aide pédagogique pour les candidats au BIA(Brevet d’Initiation Aéronautique) voire au CAEA (Certificat d’Aptitude à l’Enseignement Aéronautique). Dernier point et pas le moindre, Sylvain et Thomas ont pris la décision de reverser une partie de leurs bénéfices des ventes de DVD et c’est tout à leur honneur, en faveur de l’association « Rêves de gosse« . « The Legend of Little Eagle » is a novel about destinies that intersect. It is based on a true story which involved an actual American pilot – Lieutenant LeRoy Lutz – whose warplane was hit by anti-aircraft fire while strafing a German train. He then made the decision of purposefully crashing into a clear area instead of dashing into a French village called Mardeuil in Champagne, in June 1944. He did not survive to his feat, but the villagers did. LeRoy Lutz has been turned into « John Philippe Garreau », and LeRoy Lutz flew a P-38 Lightning whereas Garreau is on a P-51 Mustang for the novel. In 1999, while I was in Montana researching my novel « Cougar corridor », I discovered a letter mailed from France in 1947. It said how a pilot of the US Army Air Force, Lieutenant LeRoy Lutz, had avoided a tragedy by staying on his damaged plane in order not to fall on a small village of Champagne, Mardeuil. It was in June 1944. Having renounced the bail out option while still able to do so, Lutz (picture below) had paid with his life this heroic act. His Lightning P-38 crashed in a field. I told in a previous article of this blog how this letter led me to write my latest novel, The Legend of Little Eagle. …Time passes by, History is forgotten, but for the old inhabitants of Mardeuil LeRoy Lutz is always a hero whose sacrifice helped avoid civilian casualties in their village. « This story keeps coming to my mind, » said André Mathy. I have been able to find him, which moves me. For this endpoint in the long story that was the writing of The Legend of Little Eagle highlights a surprising phenomenon on which I return repeatedly – over the reconstruction of the life of my hero who experienced a similar fate to LeRoy Lutz – in this story in which the notion of fate is perhaps the theme: the meaning and weight of stories, as explained in several books by William Kittredge, one of the great writers of Montana. According to him, our lives are ceaselessly intertwined with narrative, with the stories that we tell or hear told, those that we dream or imagine or would like to tell, all of which are reworked in that story of our own lives that we narrate to ourselves in an episodic, somewhat semiconscious, but virtually uninterrupted monologue. We live immersed in narrative (have you noticed?) These stories allow us, according to him, to situate ourselves in the world, and find meaning in our existence in the chaos of life. « We live in stories. We are stories, » he asserts. “We tell stories to talk out the trouble in our lives, trouble otherwise so often so unspeakable. It is one of our main ways of making our lives sensible. Trying to live without stories can make us crazy. They help us recognize what we believe to be most valuable in the world, and help us identify what we hold demonic,” Kittredge adds. This book has already had 4.7 stars out of 13 customer reviews on Amazon.fr. It is a breath-taking novel according to them. The readers did love Florian Rochat’s talent and style. The synopsis made them believe that it was a book on aviation. 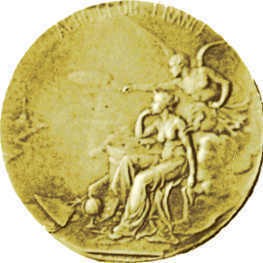 It is, with many scenes of air combat during John Philip Garreau’s missions over Germany and France. But there is more to it. As mentioned above, it mainly deals with puzzling questions on destiny and fates bound within a same tragic event. However, these readers loved reading this unbelievable story. Air combat is not swept out of sight as the act of gallantry when LeRoy Lutz veered away from the village to save lives is well highlighted. Moreover, the hero amazingly meets with a famous WWII aviator. You can read Florian Rochat’s biography on Xavier Cotton’s blog « Passion pour l’Aviation« . Special thanks to Xavier who passed the information on.